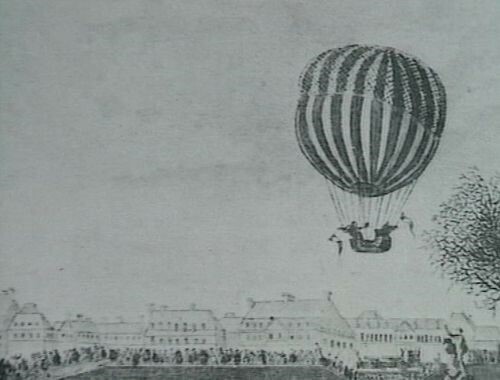 The early successes of the Montgolfiers had prompted the geologist Faujas de Saint-Fond to raise a public subscription for construction of a small silk hydrogen-filled balloon by J.-A.-C. Charles, the physicist, and two mechanics, the brothers Robert. This balloon flew 15 miles, unpiloted, on 27th August 1783; and on 1st December Charles and the elder Robert flew for more than two hours in a 26-foot-diameter hydrogen balloon, from the Tuileries Gardens in Paris, some 27 miles to Nesle. After touching down, Charles went up again by himself, but was so alarmed when the balloon shot up to over 9,000 feet that he never flew again. 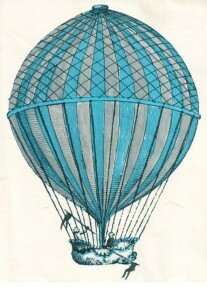 More important than the flights themselves was the fact that Charles’s balloon was such a masterpiece of design and manufacture that many of its features — the valve, the net, the suspension of the basket, the provision of ballast, use of a barometer and the gas — have been retained to this day in free balloons.